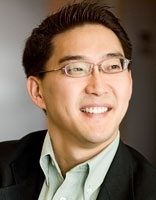 Charles Cho is Associate Professor of Accounting at ESSEC Business School. He holds a PhD in Business Administration (Accounting Track) from the University of Central Florida. His research interests are Social and Environmental Accounting; Corporate Social Responsibility (CSR); Accounting and the Public Interest, and are based on the notion that business, and particularly accounting, has a much broader scope than the traditional checks and balances of an organization’s financial and economic situation. He has published a number of articles in refereed academic journals such as Accounting, Auditing and Accountability Journal, Accounting, Organizations and Society, Critical Perspectives on Accounting, the European Accounting Review, the Journal of Business Ethics, and Social and Environmental Accountability Journal, and was also an invited author of chapters in several books. He is also actively involved in the Centre for Social and Environmental Accounting Research (CSEAR) as the International Associate for France, and in the Public Interest Section of the American Accounting Association as the Vice-Chair for International Membership. Cho, C.H., Michelon, G., and Patten, D.M. (2012). Enhancement and Obfuscation through the Use of Graphs in Sustainability Reports: An International Comparison. Sustainability Accounting, Management and Policy Journal, 3(1), 74-88. Cho, C.H., Freedman, M., and Patten, D.M. (2012). Corporate Disclosure of Environmental Capital Expenditures: A Test of Alternative Theories. Accounting, Auditing and Accountability Journal. Cho, C.H., Guidry, R.P., Hageman, A.M., and Patten, D.M. (2012). Do Actions Speak Louder than Words? An Empirical Investigation of Corporate Environmental Reputation. Accounting, Organizations and Society, 37(1), 14-25. Cho, C.H., Patten, D.M., and Roberts, R.W. (2011). Corporate Environmental Financial Reporting and Financial Markets. In The Oxford Handbook of Business and the Environment (pp. 444-461), eds. P. Bansal and A. Hoffman, Oxford University Press, UK. Cho, C.H., Martens, M., Kim, H., and Rodrigue, M. Astroturfing Global Warming: It Isn’t Always Green on the Other Side of the Fence. (2011). Journal of Business Ethics, 104(4), 571-587. Cho, C.H., Roberts, R.W., and Patten, D.M. (2010). The Language of U.S. Corporate Environmental Disclosure. Accounting, Organizations and Society, 35(4), 431-443. Cho, C.H., Phillips, J., Hageman, A., and Patten, D.M. (2009). Media Richness, User Trust, and Perceptions of Corporate Social Responsibility: An Experimental Investigation of Visual Website Disclosure. Accounting, Auditing and Accountability Journal, 22(6), 933-952. Cho, C.H. (2009). Legitimation Strategies Used in Response to Environmental Disaster: A French Case Study of Total S.A.’s Erika and AZF Incidents. European Accounting Review, 18(1), 33-62. Cho, C.H., Chen, J.C., and Roberts, R.W. (2008). The Politics of Environmental Disclosure Regulation in the Chemical and Petroleum Industries: Evidence from the Emergency Planning and Community Right-to-Know Act of 1986. Critical Perspectives on Accounting, 19(4), 450-465. Cho, C.H. and Patten, D.M. (2007). The Role of Environmental Disclosures as Tools of Legitimacy: A Research Note. Accounting, Organizations and Society, 32(7-8), 639-647. Cho, C.H., Patten, D.M., and Roberts, R.W. (2006). Corporate Political Strategy: An Examination of the Relation between Political Expenditures, Environmental Performance, and Environmental Disclosure. Journal of Business Ethics, 67(2), 139-154.